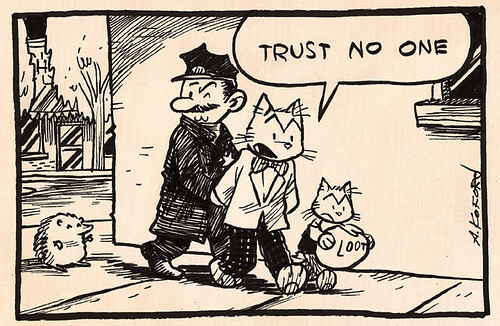 Confusion Reigns With Open Access Mandates. Thanks, Elsevier. 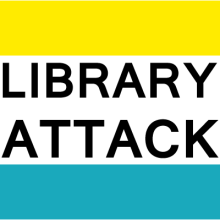 – Library Attack! Confusion Reigns With Open Access Mandates. Thanks, Elsevier. Two major features of this retreat from openness need to be highlighted. First, it imposes an embargo of at least one year on all self-archiving of final authors’ manuscripts, and those embargoes can be as long as four years. Second, when the time finally does roll around when an author can make her own work available through an institutional repository, Elsevier now dictates how that access is to be controlled, mandating the most restrictive form of Creative Commons license, the CC-BY-NC-ND license for all green open access. Smith also links to Elsevier’s 50-page document listing all of the different embargo periods for its journals. It’s no wonder why people are confused and frustrated. For perspective, let’s use my local users as an example. We have a UC OA policy and the local UC Berkeley guide. Not all of our funding comes from federal sources, so the OSTP mandate doesn’t cover all of our publications though the UC mandate will (but not grad students, yet). Then you have to look where our researchers publish and want to publish – for transportation 6 of the top 10 journals ranked by impact factor are published by Elsevier. (I’m currently working on a data set to see how often we’ve published in these journals in the last decade, results forthcoming, but I can say from data collection it’s considerable.) Edited to add: I’ve run some preliminary data. Based on journals ITS researcher have published articles in 3 or more times since 2005, Elsevier accounts for 31% (150 articles), TRB is 27% (128), ACS is 8% (37), IEEE is 7% (32), and ASCE is 6% (27). So Elsevier’s OA policies are something I try to understand despite the confusion, and even I’m frustrated even though I’d say I’m a pretty optimistic OA advocate. I’m not going to go so far as Smith as to suggest it’s time for another boycott because I know my faculty won’t really go for it, but I do think we need to have a conversation about what their choices mean and the cycles of publishing and tenure. It would also be great to have more OA options for them to publish in. The Journal of Transport and Land Use and the Journal of Public Transportation are great, but they only cover limited areas. So hey transportation faculty- if you’re reading this, let’s make a difference. Consider publishing OA and maybe even starting a new journal. I’m here to help. SLA: Speak up, I can’t hear you.